The information presented on this page was originally released on March 20, 2017. It may not be outdated, but please search our site for more current information. If you plan to quote or reference this information in a publication, please check with the Extension specialist or author before proceeding. WEST POINT, Miss. -- Mississippi's agricultural future is safe in the hands of some of the nation's best farmers. Brad and Molly Judson of Clay County have the award to prove it. 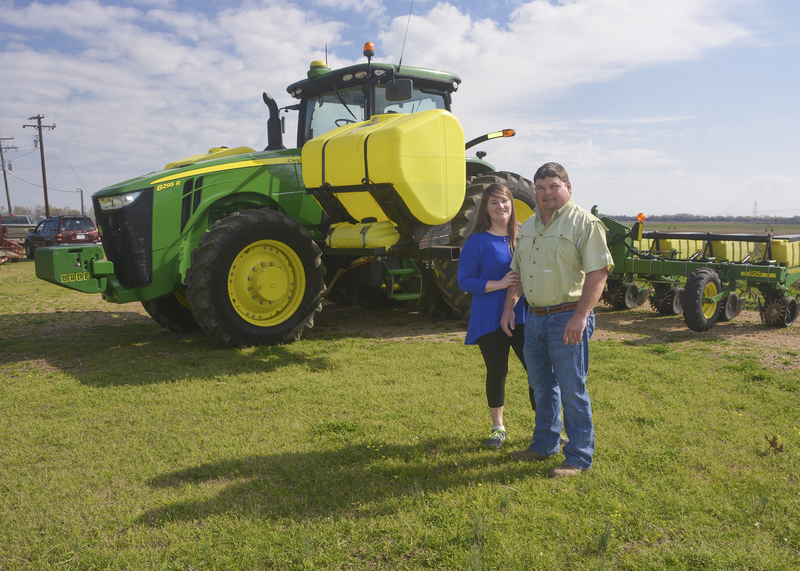 Charlie Stokes, area agronomy agent with the Mississippi State University Extension Service, nominated the winning couple for the National Outstanding Young Farmers award. The National Association of County Agricultural Agents sponsors the recognition program. “The award recognizes their progress in an agricultural career, their soil and water conservation practices, and contributions to the well-being of the community, state and nation,” Stokes said. The Judsons were one of four winning couples chosen from 10 national semifinalists for the award. One unique aspect for them is that they did not inherit their farming operation. Brad Judson said surrounding his farm with good people has been a key element in his success. Brad Judson said several of the other young farmers faced challenges with keeping good employees. Stokes said east Mississippi farmers deserve recognition for their efforts and accomplishments. 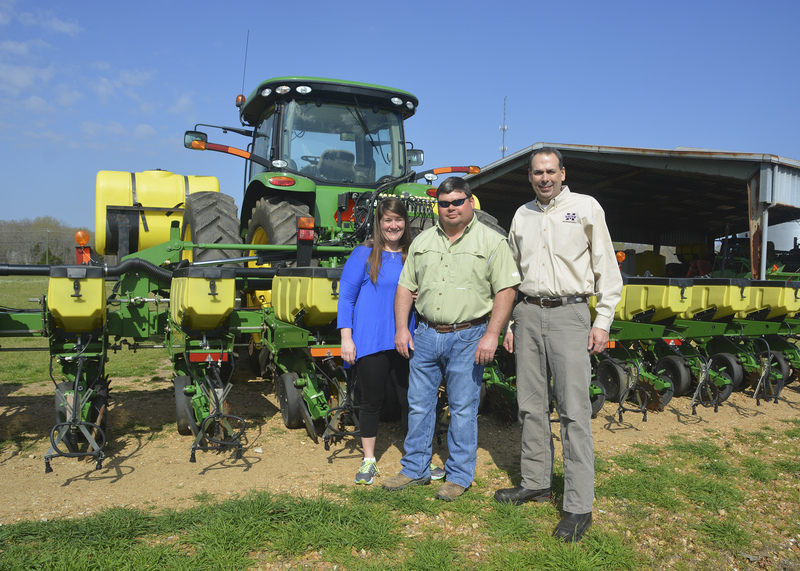 In addition to the Judsons, east Mississippi is also home to state’s 2016 Swisher Sweets/Sunbelt Expo Southeastern Farmer of the Year, Paul Good of Noxubee County. Stokes said successful farming depends on smart decisions. Both the Judsons are graduates of MSU. Brad Judson earned his degree in agribusiness. Molly Judson holds a degree in elementary education. Currently, she works full time for the family farm with an emphasis on their children, Hamp and Howie. The Judsons serve their community in a variety of ways on agricultural boards and in church service, local philanthropy and schools. He is a member of the Soil and Water Conservation District Board and the Clay County Farm Bureau Board. She is active in the Garden Club and Parent Teacher Association. Their farm has contributed to fundraisers such as rodeos, 5K runs and fire departments.